Despite the influx of new technology, the digital transformation of healthcare has been painfully slow. The rapid growth in digital health technologies promises a future with improved access to healthcare, a more seamless patient experience as providers easily share medical information, and improved patient outcomes at more affordable levels. But with all this technology – from wearables, health applications, and other personal tracking tools, to electronic medical records, provider administration platforms, and patient engagement portals, to digital therapies and telemedicine services – the digital transformation of healthcare has been painfully slow. It’s easy for stakeholders to get lost in this ocean of innovation – to focus on the "next big thing" that could fix a particular problem or, conversely, to get bogged down in the issues that often surround the implementation of digital health, such as privacy, usability, regulatory, and reimbursement concerns. If we are honest with ourselves, communications contributes to this myopic view of digital health as we hype the newest device or espouse the virtues of one platform over another, failing to address the larger issues, including inefficiency and lack of communication among healthcare providers, inequitable service quality, unsustainable cost increases, and poor clinical outcomes. Those issues can all be traced back to fragmentation – a broken healthcare system where patients are passed from specialist to specialist. Tied to the rapid growth of chronic diseases and co-morbidities, the episodic nature of healthcare is magnified by reimbursement and payment models that reward this approach instead of holistic treatment of the entire patient. Fragmentation leaves the consumer with a lasting impression of healthcare as ineffective, impersonal, and unprofessional. Digital health has the potential to address this lack of integration and connectivity, but the fact is most of these technologies are just as fragmented as the system they intend to fix. The value of a health watch or any wearable will remain limited if it does not provide access to all the relevant health information needed to make smarter health and lifestyle decisions. While wearables and health apps have their early adopters among the fitness-minded and so-called "worried well," there is a fundamental question about whether consumers at large are ready to embrace technology that constantly checks our vital signs or sends warnings and reminders about how much we eat or exercise, especially when patient adherence with therapy, medication, and recommended lifestyle changes is already a huge problem. 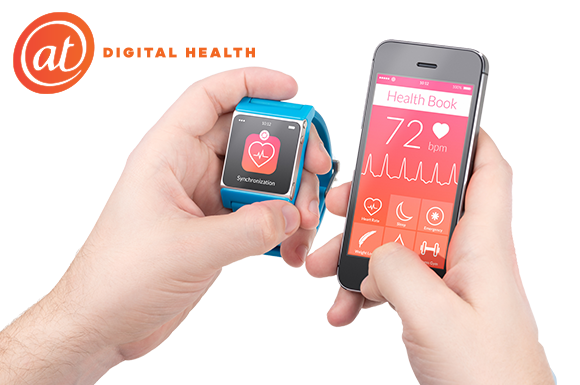 So what can communications do to accelerate the understanding and adoption of digital health? We need to balance our focus on the next big thing with an approach that educates consumers about the larger issues. Fragmentation should become the "burning platform" for digital health – the crisis that drives the behavior change so critical for its adoption. Effective communications can define the concept of patient-centric healthcare, demonstrate the meaningful benefits related to preventative healthcare and better health outcomes, and celebrate as models the early successful examples of integrated, patient-centric healthcare. Companies delivering new digital health technologies should communicate how they can address fragmentation through collaborative innovation within the digital health ecosystem. Communications can influence the behavior change required to generate the full value from digital health by building new stakeholder coalitions, telling personal stories about successful changes in individual behavior, and shaping a positive environment for adopting disruptive, life changing personal technologies. But until communications rises above the transactional hype and motivates all parties to seek meaningful transformation, we may be anticipating and debating the promise of digital health for years to come. ATDigitalHealth was created to address these challenges and we invite you to join us in our mission to accelerate the understanding and adoption of digital health. Visit us at www.ATDigitalHealth.com. Can communications save the health of the nation?